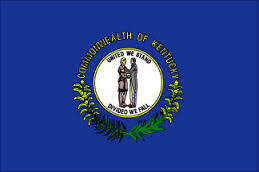 Although Kentucky has no codified homeschool statute on the books, in 1979, a Kentucky court ruling known as Kentucky State Board for Elementary and Secondary Education v. Rudasill, stated that parents have the prerogative to choose the education of their child. Since that ruling, Kentucky has legally defined homeschools as nonpublic schools (Ky. Rev. Stat. Ann. Section 159.030). Report the names, ages and place of residence for each pupil attending the school. According to Ky. Rev. Stat. Ann. Section 159.040, “The homeschool parent must keep student attendance records and be open to inspection by the Kentucky Department of Education and Kentucky Cabinet for Children and Families.” Such inspections are conducted for the sole purpose of determining compliance with Kentucky’s compulsory attendance laws and are not intended to serve the purpose of evaluating the home school’s educational quality. Finally, if a Kentucky homeschool operates year-round, the minimum school term must be 185 days, which is the same as the term length for public schools and “includes no less than the equivalent of 177 six-hour instructional days” (Ky. Rev. Stat. Ann. Sections 158.70 and 158.080).